In a study in The International Journal of Dermatology, it was found that propolis is a very effective treatment for warts when taken orally for three months. Warts are a common problem affecting both adults and children - most of us carry the virus. Multiple treatment options are available including salicylic acid based creams, liquid nitrogren and even duct tape, but no single therapy stands out as uniformly effective. Along with propolis, echinacea was included in the study. 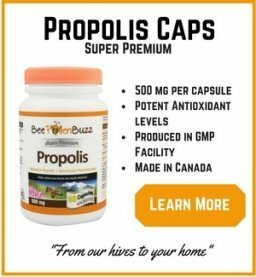 Propolis and Echinacea are relatively safe immuno-modulators and both have antiviral properties. In patients with plane and common warts treated with Propolis, cure was achieved in 75% and 73% of patients, respectively. These results were significantly better than those associated with Echinacea treatment or placebo. 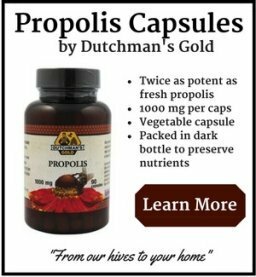 It is my experience that closer to 100% effectiveness can be achieved had the propolis been applied topically to the warts. The researchers went on to conclude that Propolis is an effective and safe therapy for plane and common warts. I have successfully used propolis on a plantars wart and on a family members facial wart. My protocol is quite simple. 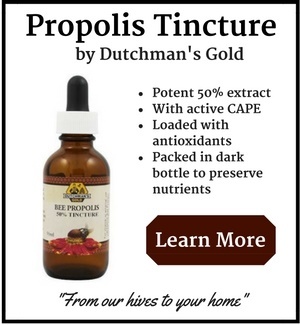 I use a 50% propolis tincture (alcohol based) and apply the propolis daily to the wart. I apply 2 drops each time and immediately cover the wart with cotton and apply a band aid to cover it. I do this morning and night. If having a bandage applied to your face or head is not realistic for you, applying propolis only at night will still work. 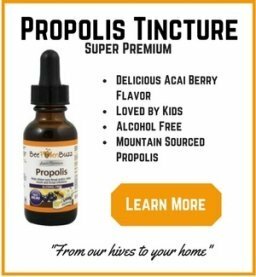 I also consume propolis orally while treating a wart and consume one full dropper of tincture or 1000 mg's in capsule form daily to further boost immunity. When applying propolis topically, the skin around the wart may turn a dark brown/black color. This is simply the propolis staining the skin and will go away within days after stopping the treatment. It took roughly two weeks for the wart to die and disappear and it has not come back after several years. I experienced no pain or discomfort during the treatment. International Journal of Dermatology, Volume 48, Number 11, November 2009 , pp. 1246-1249(4).